This two piece Madison set is the reason Giggle Moon has become a staple in households! This set is stunning for spring and summer! She is sure to love the pink and white quatrefoil print bodice soft against her skin. 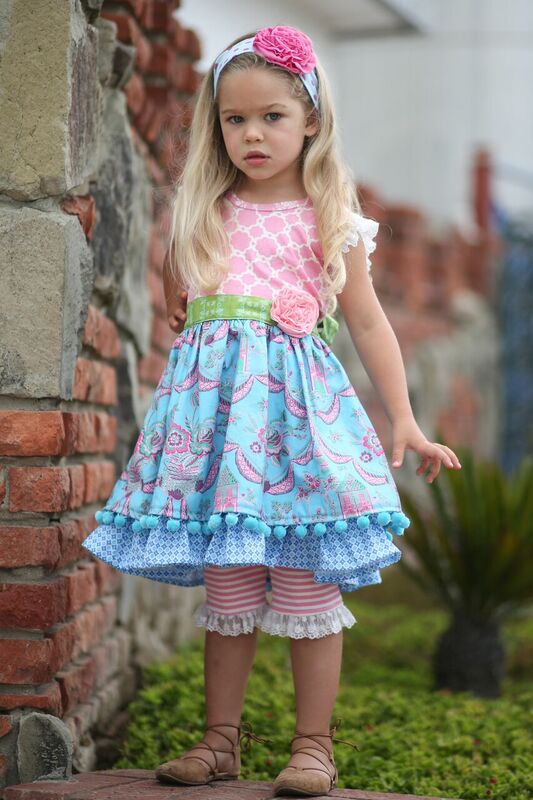 The Madison dress is skirted in a gorgeous blue and pink printed skirt finished with sash that can be tied in the front or back for the perfect fit. The pink ruffle capris are accented with a quality lace pull on easily with a soft, elastic waistband. 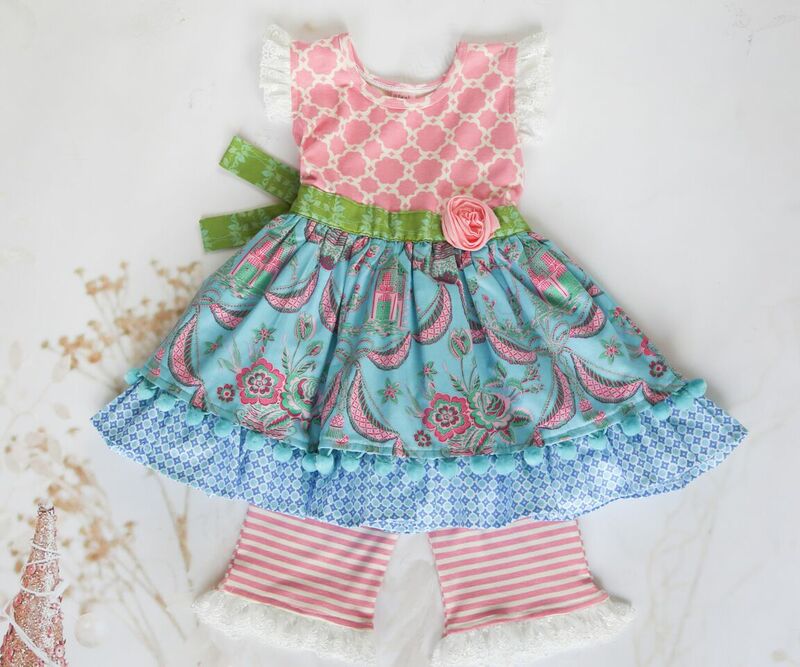 This gorgeous Children of Love Madison dress set comes in sizes from 12m - 8. years! Runs small! Order size if need room for growth or shrinkage! Please allow up to 30 days for processing of returns. If you have not received a refund or store credit within this time, please feel free to contact us at 877-767-8579.